TGtbT's Products for the Professional Resaler (priced from $2.39 up and the best things investments you can make for your shop's success!) are what will make your business BE all you dream it CAN be! Our Shop has all our Products, and see which Kate suggests to help you build a young business, to help you grow your business, and to help established businesses thrive. Check out our mini-Products as well, quick-read, single-topic PDFs. 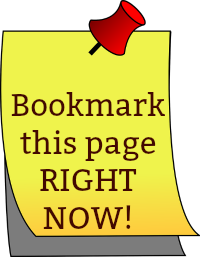 The Too Good to be Threw Links Page is invaluable: Just when you think you can't find some resource, it's there! Check out our articles as well. Our Feature Article is timely and focuses on what's most important right now in resale. Our blog, where Auntie Kate talks with consignment, resale & thrift shopkeepers about opening, running, & making their shop THRIVE! (Don't miss Ask Auntie Kate, our special page there.) Subscribe on the blog to get immediate notification of new posts. Occasionally, we send out informative emails. You can join our list here, and of course we wouldn't dream of using your email for anything but this. Get social with TGtbT! Facebook and Pinterest and Twitter. Lots of additional ideas, tips and news you mustn't miss! Got a reporter coming to interview you? Steer them to our Consumer Page, where they will find lots of good information that will help them write a great article/ do a great post/ interview you longer! Stay in touch! You can receive our Insider emails (a couple of times a month and full of news) here. You can also get notified via email when there's a new blog post by joining us here. Of course: You can unsubscribe at any time; I never ever share your email with anyone; and if it ends up in your spam file, add me to your email's "trusted sender" list.